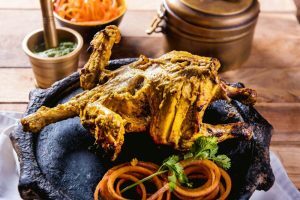 Atmospherics: One of the more seasoned restaurateurs of West Delhi, Rajan Sethi took several years to piece together the trimmings of Ikk Panjab. The unusual spelling is because his research showed him that the state was always spelled with an ‘a’ rather than the British innovation of ‘u’. 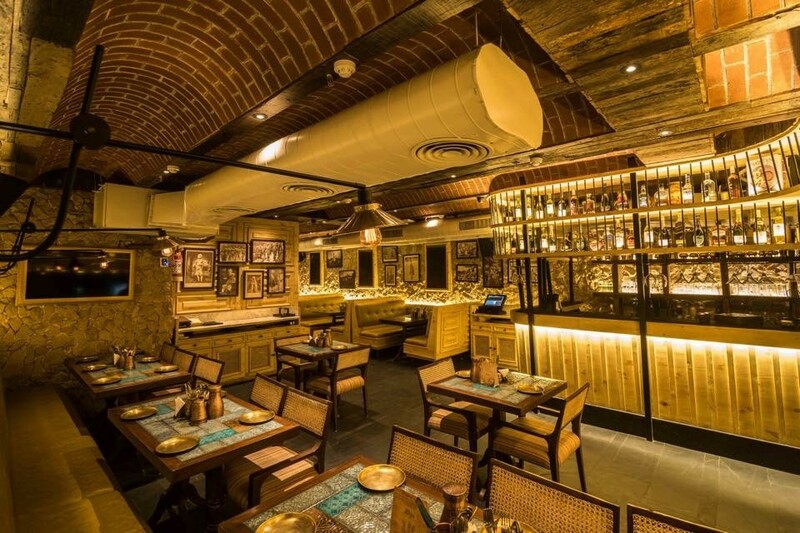 All the bric-a-brac on both floors and the one-of-a-kind service-ware like the 5 kg stone plate on which dahi bhalla is served have been painstakingly collected over years. 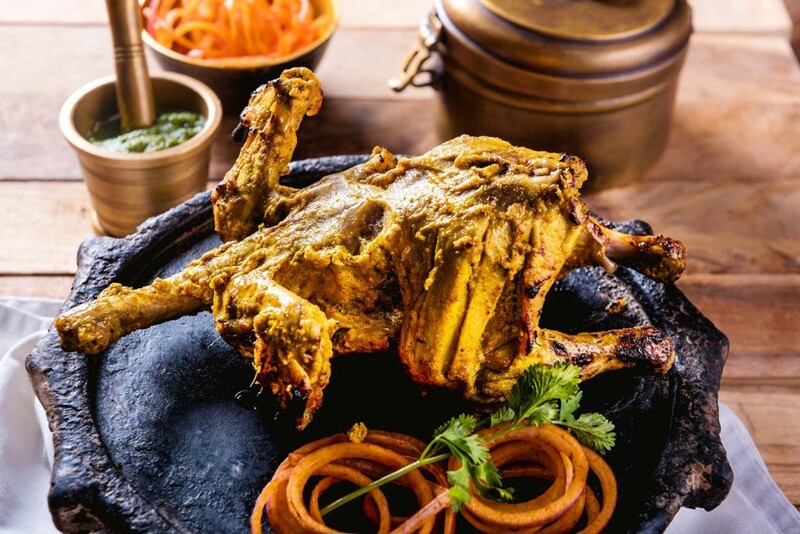 Food is just one element in Ikk Panjab: the settings, the ‘newspaper’ on which breads are served, the screens depicting facts about the state – all point to a passion that few restaurateurs can match. Even the open kitchen without a door or glassed-in partition is the prototype of highway dhabas. Copper tumblers, bell-metal quarter plates, antique brass tiffin carrier for fixed meals – the bells and whistles will blow you away. 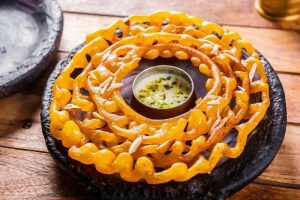 Table talk: Oh teri (Rs 185) is the slyly named butter chicken samosa that the waiter plonks before you and announces the dish with a cheeky flourish. The coarsely minced chicken does not particularly taste of butter chicken, but the accompanying sauce is the game changer with the exact flavour. I expect that it will be relentlessly plagiarized before long! 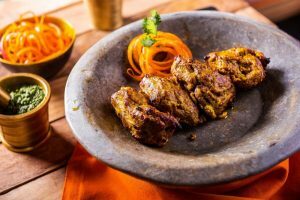 Malaidaar murge da tikka (Rs 245/485 for 2/4 pieces) was pleasant enough without any marked flavour of the tandoor. Mirze di shammi (Rs 245/485) was obviously from the other side of the border: pleasant enough without much refinement (and a very high level of salt: something I noticed in a few dishes). Meat Beli Ram (Rs 245/485) was the delight of the afternoon. 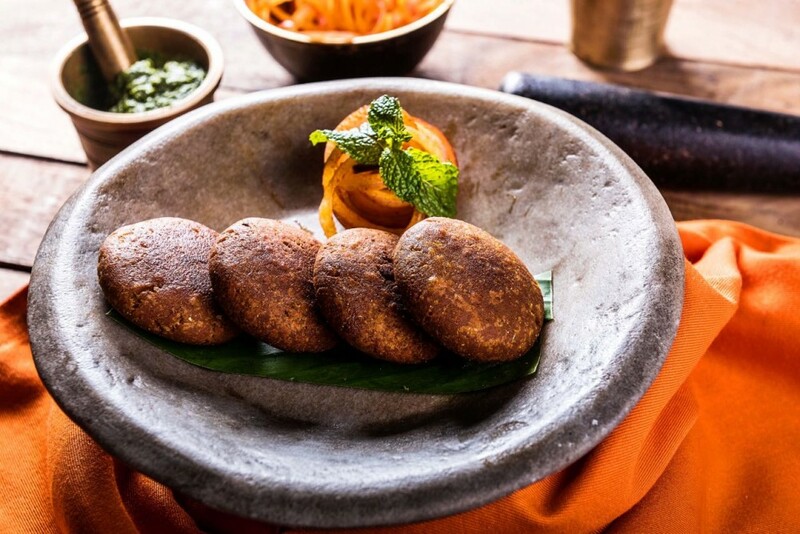 An absolutely delicious preparation, with thick gravy with no trace of any liquid other than curd, and a melange of spices, it followed the well-known recipe for the dish, which is now a classic of Punjabi cookery. Alas, it suffered from being over-salted, but it is a failing that is more easily rectified than sloppy cooking! Cream chicken Ludhianawi (Rs 245/485) was my personal favourite. Creamy, mild, yet with aromatic spices that permeated the chicken, it is the one dish I will return for. 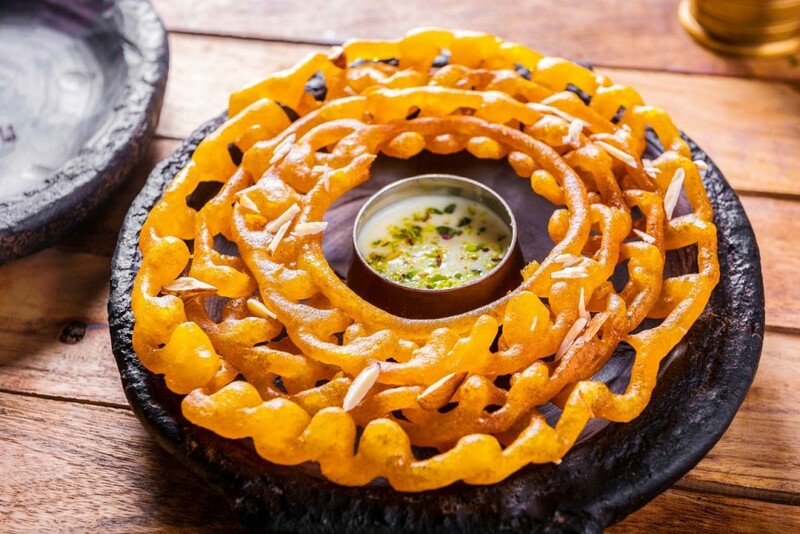 Plus and minus: The chaat is too far from the street-side original to warrant a try; instead splurge on the desserts – the true glory of the menu.